How Much Does Carpet Repair Services Cost? Great looking carpets enhance the overall appearance of the interiors of a residential or commercial property. The prices of carpets continue to increase and the cost of installing them can be higher than the cost of the actual carpet. If you notice that your carpets have tears, bumps, ripples, stubborn stains or other damages that make them look unattractive, you can choose to have them repaired instead of replacing them. You should search for a firm that offers carpet repair services in your area. As you search for a carpet repair service provider, you should consider several things in order to find a competent professional. 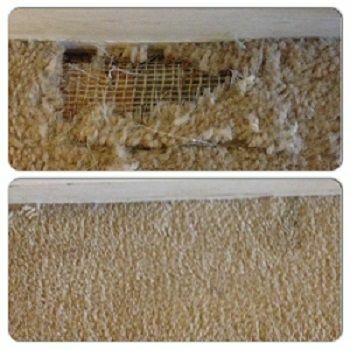 Do not make the mistake of assuming that professional carpet cleaners are qualified to offer carpet repair services. 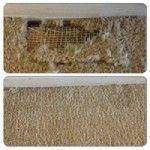 Carpet repair and cleaning may have a small area of overlap in certain cases but they are fundamentally different practices. You should therefore look for professionals who specialize in carpet repair. The other factor to consider when hiring a carpet repair service provider is cost. The cost of repairing carpets ranges from $100 to $175 dollars per 200 square foot area. According to a recent study, the average charge for carpet repair services in the United States is 152 dollars. Most homeowners are willing to pay more for higher quality services, while most business owners prefer low rates. It is important to consider if a carpet repair service provider offers high quality services at reasonable rates. The prices that carpet repair specialist charge usually vary according to the training they have, experience, the tools they use and their certifications. It is wise to hire professionals who are experienced and use advanced carpet repair tools such as power stretchers. You should also consider the reputation of carpet repair firms. You can know if a company has a good reputation by reading reviews from previous customers. You may also contact the Better Business Bureau in your city to find out if there are any complaints filed against the company you want to hire. Asking a company to provide you with references is also wise. It is also important to hire carpet repair professionals who are active. You do not want to work with a professional who performs carpet cleaning or re-stretching jobs occasionally. Active carpet repair service providers know about the latest carpet repair techniques to use on different kinds of carpets.